A belated birthday present came this morning. 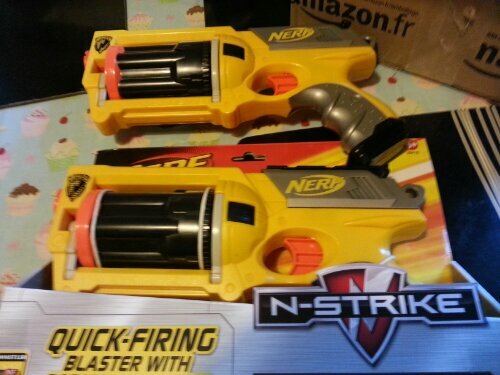 Sarah had ordered a Nerf gun for Ben to give me but it hadn’t turned up yesterday. It’s the same model as his because we have to have the same apparently! My Tweed jacket from ebay arrived as well, it’s not quite as I imagined it from the photo but cool none the less! It’s another”fast” day today and it’s made better by the fact that last night I tried on the trousers that Sarah bought me and they fit! They’re one size smaller than the one’s I’ve been wearing for the past 2 or 3 years which made my (birth)day!